SnapCacklePop: Madcon release new track you urgently need to dance too..! 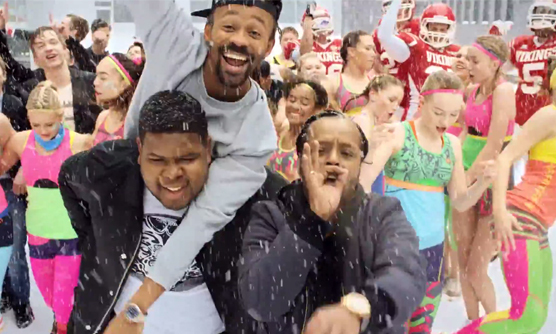 Madcon release new track you urgently need to dance too..! The beauty of pressing random shuffle on your online streaming service is that sometimes you will discover a instant hit, that has you dancing where ever you are. We were actually caught dancing in the gym, however we digress. Madcon have delivered this funkalicious non stop dance anthem Don't Worry that features guest vocals from Ray Dalton. We dare you not to be dancing by the end of this track. Its been on repeat at SCP HQ all day and is urgently being added to our list of tracks of 2015. Check out this awesome new single form Madcon and get your copy on iTunes now..!